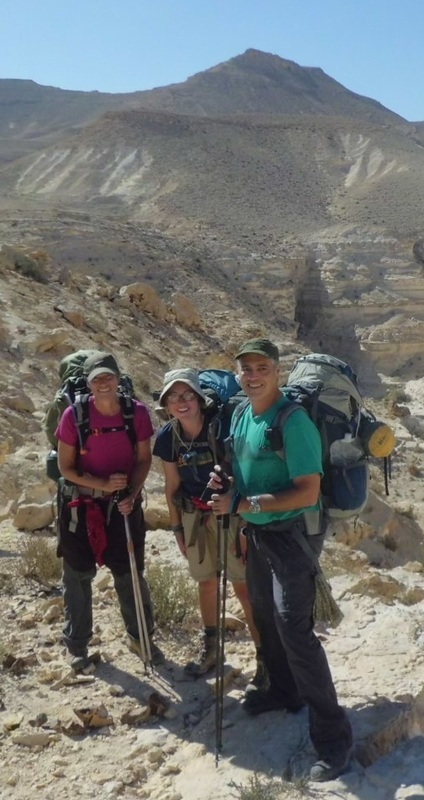 ﻿We headed back to the Negev for this portion of the hike, trying to walk a few more kilometers of the immense desert that covers 13,000 sq. km or some 55% of Israel’s land mass. We packed up our large 65-litre backpacks with sleeping bag, sleeping pad, tent, stove, food and 4 litres of water each. Weighing in at 15 kg., I was a little concerned at how I would transport myself and this bag along precarious desert trails. As for water, we had arranged with a company called waterdrop to have water hidden for us near our campsite. 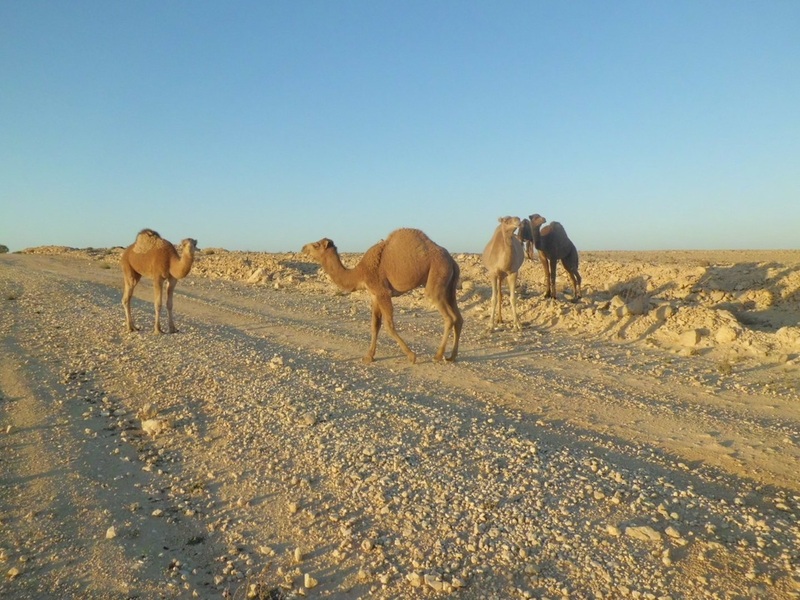 We arrived at Midreshet Ben Gurion around 7 am, where we met Chaim of Negev Jeep Tours. He was our water guy and explained how we could find our hidden supply. He also dropped us at the trailhead and drove our car back to his house. 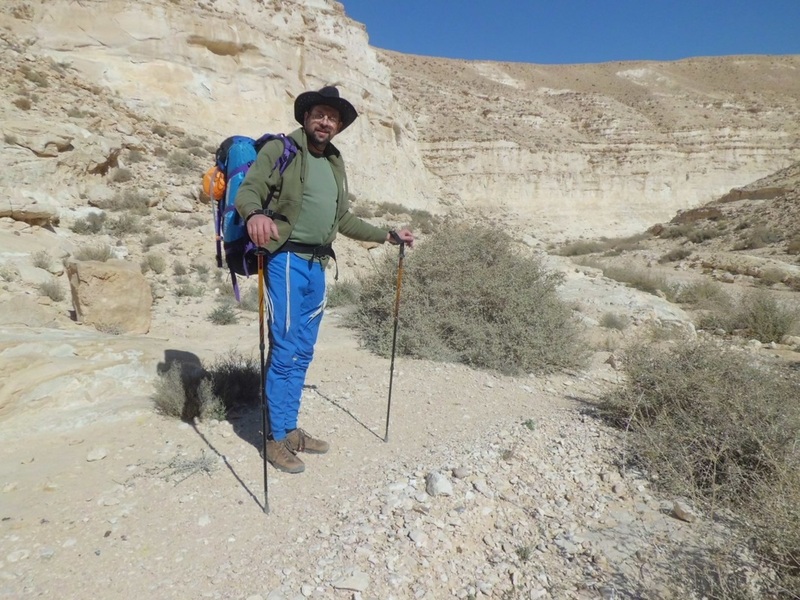 With heavily loaded packs, we trudged into the desert until we came to a ridge that overlooked the spectacular Nahal Zin, the longest wadi in the desert. This is a 120- km long seasonal stream, also known as an arroyo or wadi. While taking a break in the warm morning sun before our descent, out popped a hiker. 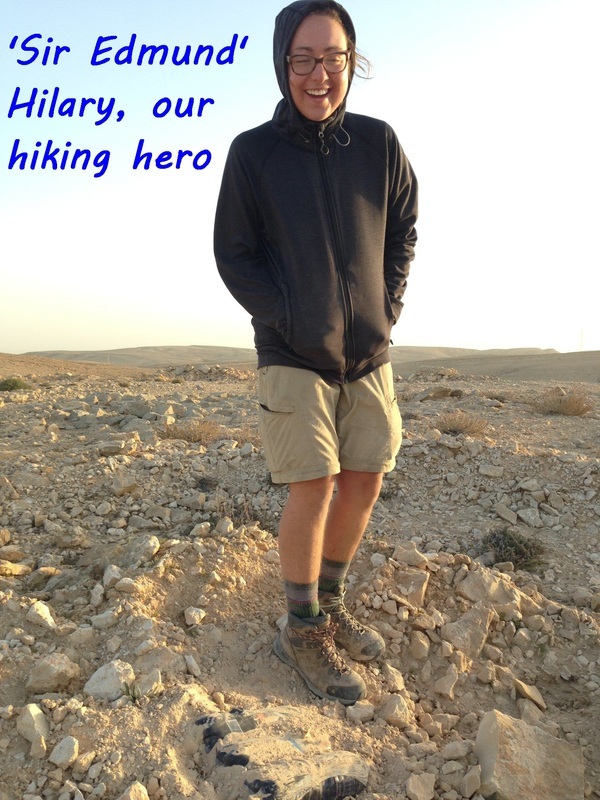 A young American with full gear on her back, we soon learned that Hilary was doing the Shvil Israel solo. She had started her trek on December 18 in the north and was now here, except she had missed her marker and was going in the wrong direction. 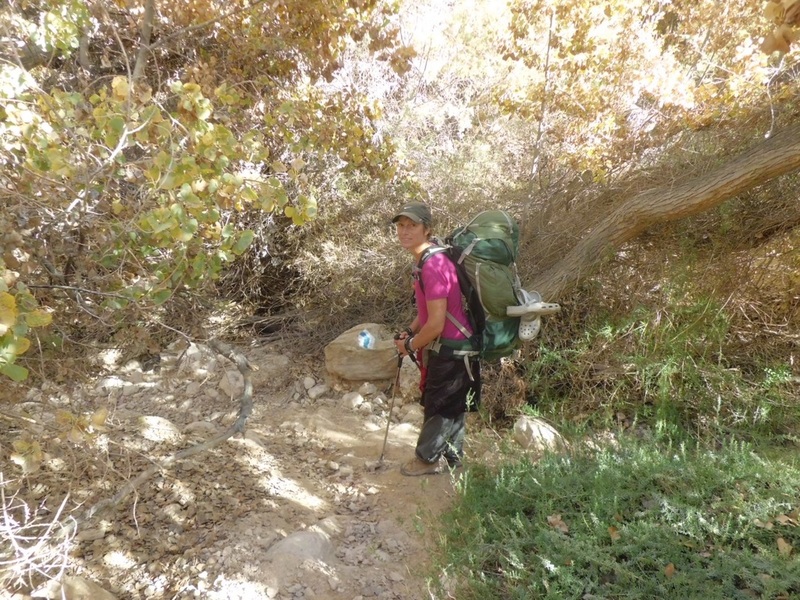 We corrected her and off we walked together back down into the canyon and stayed as a group for the next two days. We then set off, leaving our Shangri la behind, setting out across an arid rocky slope and to our ascent. We walked up and up, at one point puling our bodies onto a narrow cliff edge, looking for hand holds in the rock. With my heavy backpack pulling me down, I felt my centre of balance was off and had a moment of terror. At times it is better to just take off the pack and pass it up. Ditto for the walking poles. 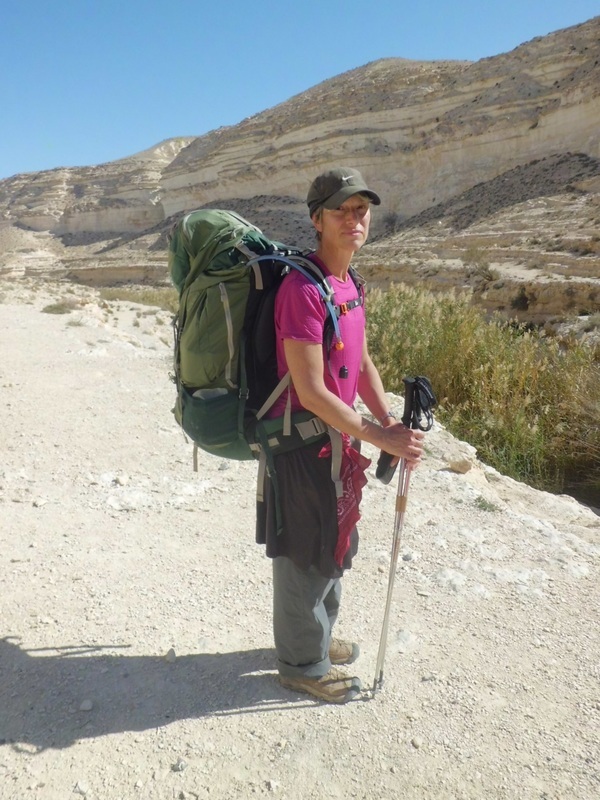 It was so refreshing and inspiring to meet a young woman who had never been to Israel and had no former knowledge of Judaism hiking alone in the middle of the desert. I will soon be blogging this story. Together we descended to the canyon floor, spotting a family of Ibex that blended in with the mountainside. 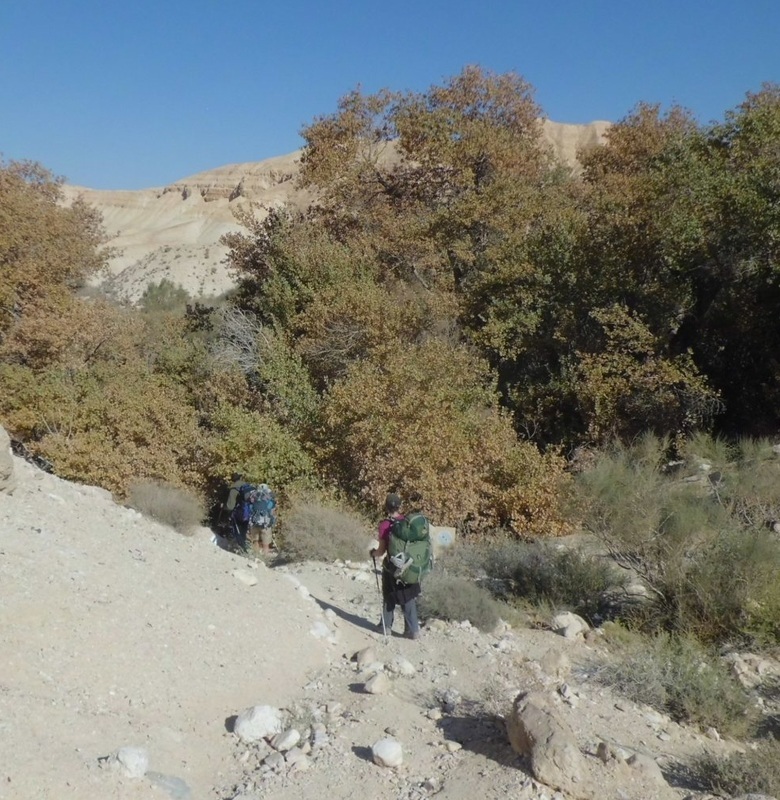 We descended the trail for a while until we came to an oasis called Ein Shaviv. 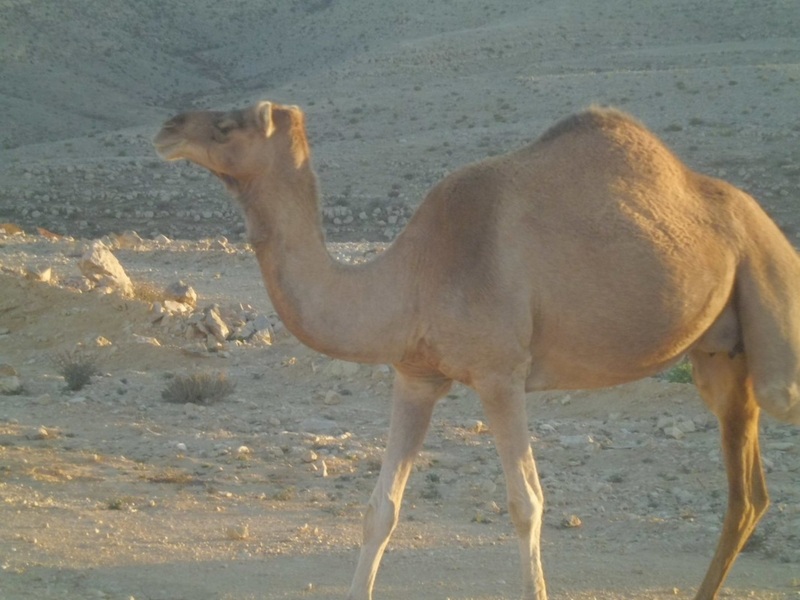 A Garden of Eden in an arid desert, Ein Shaviv receives its sustenance from rainwater seeping through cracks of the chalk and lime rocks above. 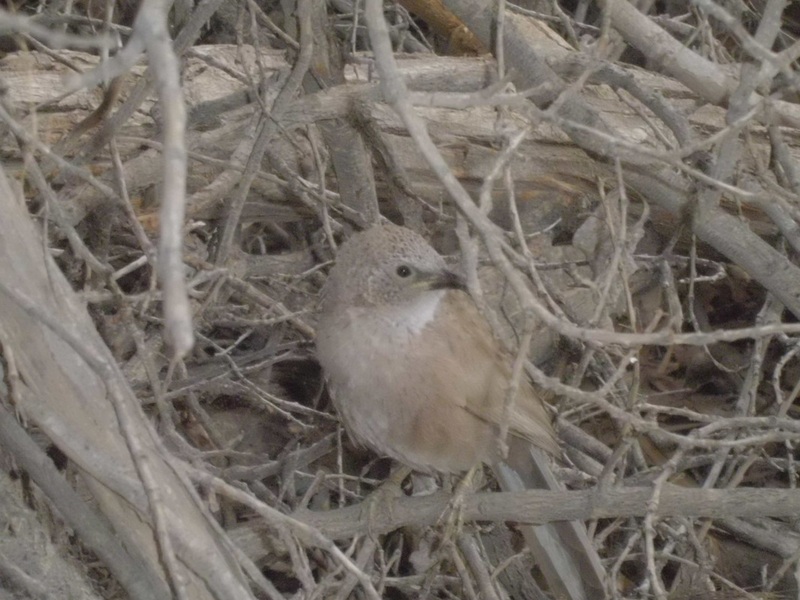 It was magical to part the reeds and enter into a lush world of songbirds, gurgling waters, poplars and palms. 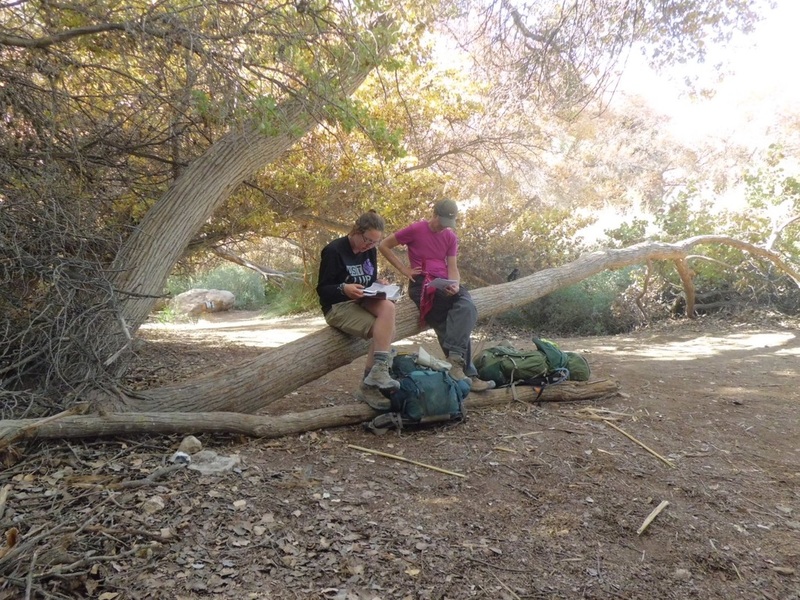 The trail took us to a perfectly shaded spot where we could sit on tree trunks and relax. The birds were very curious and brazen and jumped onto our backpacks looking for treats. 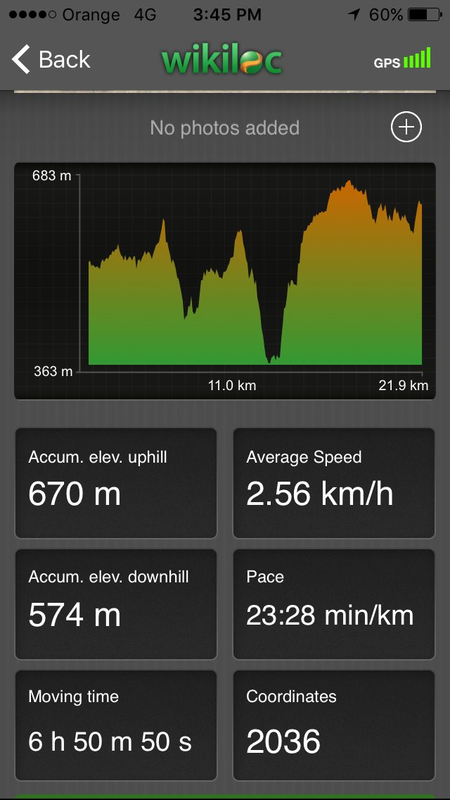 We climbed 300-metres to get out of Nahal Zin that afternoon. It was a welcome break to arrive at a 4x4 road, however this arduous path dove steeply then rose sharply time and again in an almost annoying way. Finally we saw the name of our camping site scrawled on a rock. Home for the night. ‘hiding place B,’ it was too dark to go looking. We hunkered down in our tents and fearing we may have no water, did not drink a sip at night. 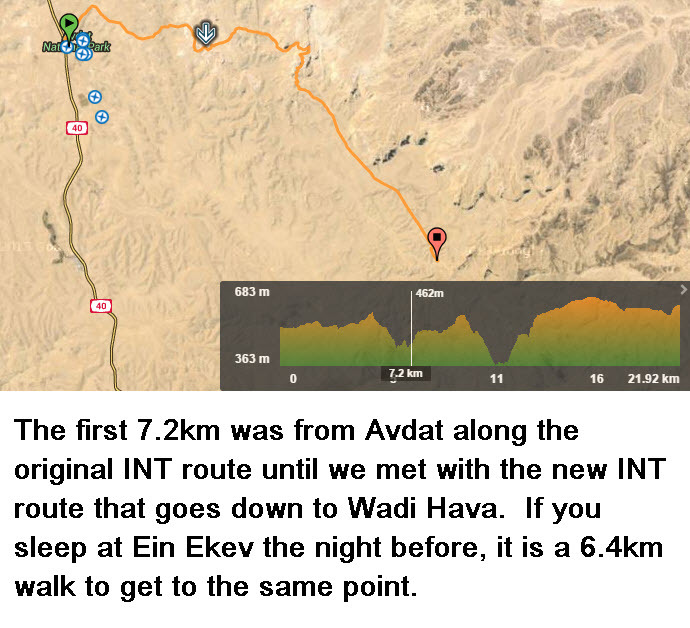 Distance is 22-23km - roughly the same if you start from Avdat or from night camp Eikev.